﻿ Hyundai Accent | HYUNDAI - NEW THINKING. NEW POSSIBILITIES. 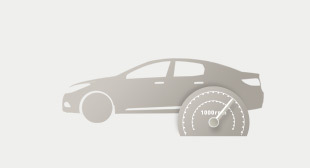 The Accent runs 100km with only 5.9â„“ of gas, offering exceptional gas mileage and high economic values. In case of 1.4 Manual T/M. Small in size, big in performance. Thatâ€™s what you get with the Accent and its Gamma gasoline engine, which feature high horsepower and torque. Itâ€™s a new experience in driving. The Accent features an ABS system and six airbags, including dual front airbags, curtain airbags and side airbags, for better safety. EXTERIORIn the language of "fluidic sculpture", the Accent conveys grace and confidence. INTERIORThe conversation continues inside, with an effortless elegance, sweeping lines and chaming contrasts. 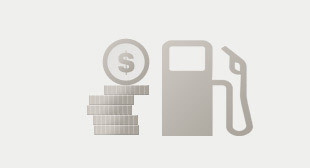 PERFORMANCEFuel efficient and environmentally conscious yet with luxuries to indulge in. engineering masterpiece anyone can enjoy. SAFETYA rigid shell, multiple airbags and crash avoidance innovation keep you safe. Finally, a car that's a step ahead of you. CONVENIENCEThe Accent boasts all the amenities discerning luxury car buyers have come to expect, plus a few unexpected extras guaranteed to delight. and volume that exude strength. It’s fluidic and sculptural, indeed. reflectors and wrap-around rear lamps make for a luxurious and harmonious look. Forming a harmonious part of the rear and sides, wraparound rear lamps deliver highly visible illumination. The Accent gives off a casual coupe vibe with a sweeping roof, cab-forward design and low lines on the body. 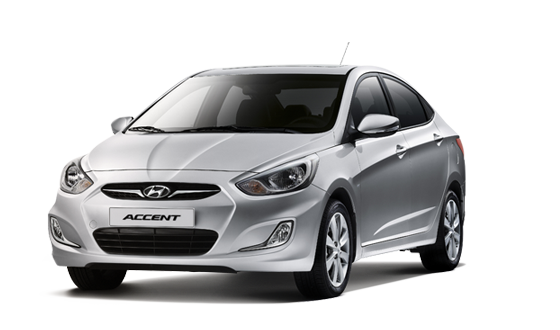 Hyundai Accent is going global. it is in France, it is Dubai, it is in Chile. It is a beauty that outshines everything. As well as giving you extra visibility in foggy weather, the fog lamps are all part of the stylish, continuously-designed body shell. Stylish, modern touch, lamps in the side mirrors provide extra visibility and safety when turning. The outside door handles are colour-co-ordinated with the body work for a refined, uninterrupted look. The Accent comes with a choice of 14"steel or 16"alloy wheels, with attractive spoke patterns for an up-to-the-minute appearance. sweep, and sporty, redesigned grip handles top it all off. Customers can choose from three interior finishes - beige 2-tone, grey 2-tone and black 1-tone, each with a choice of cloth finish. The sunvisor has been redesigned using a knit-embossed fabric for a luxurious feel, and incorporates a pocket-type ticket holder for convenience. 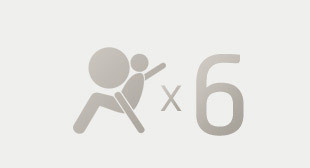 Luggage-carrying capacity is an impressive 389â„“. The centre console armrest cover moves about 60mm forward to enhance your comfort. Ergonomically positioned, the power window control switches are metal coated for a better grip. The headrests of the Accent are adjustable - up and down - raising to suit you in comfort and safety. The Accent keeps your sunglasses just where you need them - in a convenient holder within easy reach. Lightweight to enhance fuel economy, a Gamma 1.4 CVVT engine produces a maximum 108ps/6,300rpm(107ps/6,300rpm in Middle East Region), while a Gamma 1.6 CVVT engine produces a maximum 124ps/6,300rpm. 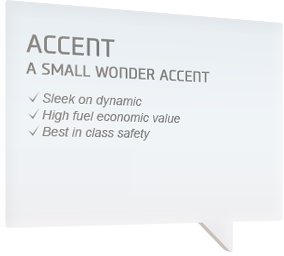 The new Accent is as appealing under the bonnet as it is above. Chief among the attractions is Blue Pack, a fuel efficiency package, which delivers more eco-efficient driving. An alternator management system controls the power supply to the battery, putting less strain on the engine. Maximising energy regeneration when decelerating and idling, the benefits come to the fore in start/stop urban traffic, since both fuel consumption and emissions are minimised. Not only that, but acceleration performance is also enhanced, through reduced power delivery to the alternator when picking up speed. Engine performance might differ by regions. With the oil pressure varying for smoother shifting, the 4-speed automatic transmission offers highly responsive, sporty acceleration. wheels from locking up, prevent skidding and maintain directional control. two curtain airbags running the length of the cabin, plus two side airbags. Stronger, better rigid body structure Stronger suspension mounting and body using circular structure for centre filler. In a collision a sensor detects the impact and automatically tensions the seatbelts around the pelvis, for additional protection. A USB port on the front console means you can connect an iPhone / iPod and MP3 player or other portable multimedia device and play your music through the carâ€™s stereo system. Plug and play, on the move. iPod is a trademark of Apple Inc. This was an awesome video created for the Accent. Check out the cool graphics. It highlights the new slogan "New Thinking. New Possibilities." and showcases the Accent in many way. Enjoy this clip! The audio system, with radio, CD, MP3, USB and AUX, features 4 speakers and 2 tweeters, for high quality sound reproduction on the move.